Upright monument lot – Live flowers may be planted adjoining the monument on the grave side of the monument. Owners of graves on both sides of the monument may plant flowerbeds on both sides of the monument. Fresh floral bouquets in unbreakable containers are permitted during grass mowing season. Please – no glass jars or other breakable containers. No wire racks or stands are permitted. 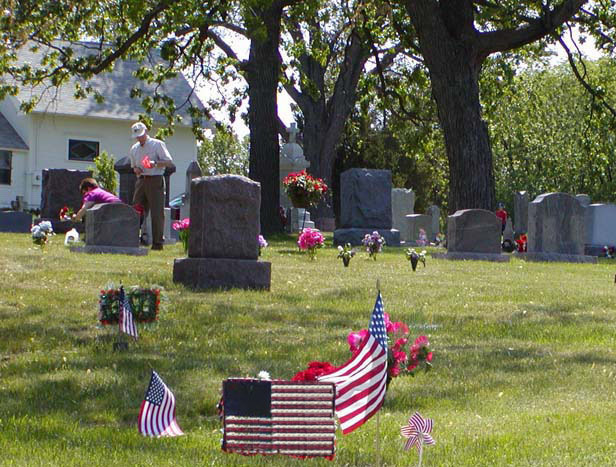 Flags and appropriate decorations are acceptable on Memorial Day and three days prior to it. All decoration will be removed the Thursday morning following Memorial Day. From October 1 to November 1, please do not place any flowers, plants or ornaments on the grave sites. This will allow us to perform maintenance and cleaning of the cemetery grounds in preparation for winter. Turn vases down in the fall. No decorative rock, stones bricks, fences, crosses, metal stands, holders, hooks, wind driven devices, balloons, enclosures around burial lots, or any above ground level…metal, plastic or any other type vase /pot of any kind are allowed. Christmas decorations are permitted from November 1 to March 1. Any items you wish to save must be removed before this date. Due to weather, if the live decorations become unsightly we reserve the right to remove them prior to the last day of February. The Riverview Cemetery Association is not liable for the destruction or removal of decorations. The cemetery personnel will attempt to save decorations placed in the wintertime, while clearing a path for a funeral. This is seldom successful because of the frozen ground and snow. 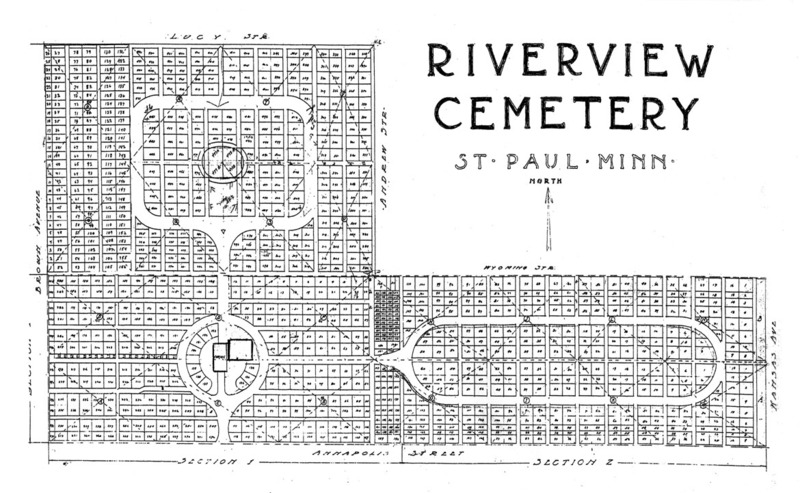 The Riverview Cemetery Association reserves the right to remove all decorations, trees, shrubs or plants which do not conform to the Rules and Regulations, or which become unsightly, overgrown, diseased or dangerous on the lot on which they are situated or to any other lot, path, or roadway.